Despite the more than cheesy reference to the Shania Twain song “Man, I feel like a woman!” I really do feel like a farmer. 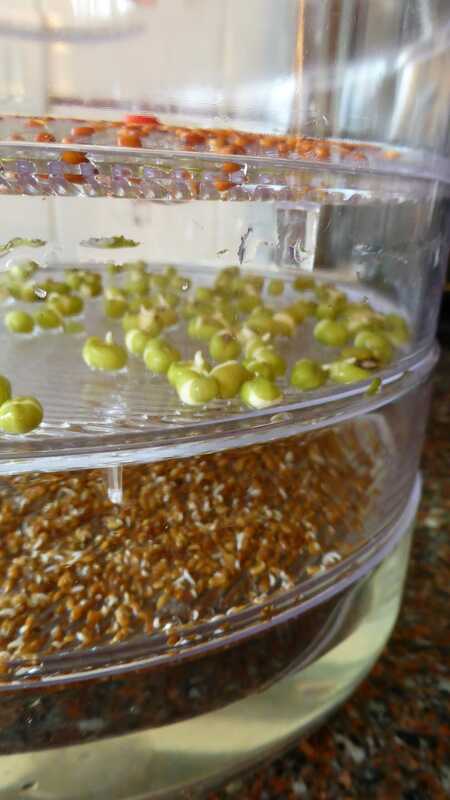 It’s day 3 of the Biosnacky 10 Day Sprouting Challenge and my little seeds are well on their way to being edible. When I initially set up the spouting set and got ready to sow the seeds I was immediately confounded by the IKEA-like instructions on the package VS. the very basic instructions in the booklet. Of course the booklet gives a very general outline and then points you to the directions on the individual seed packets. 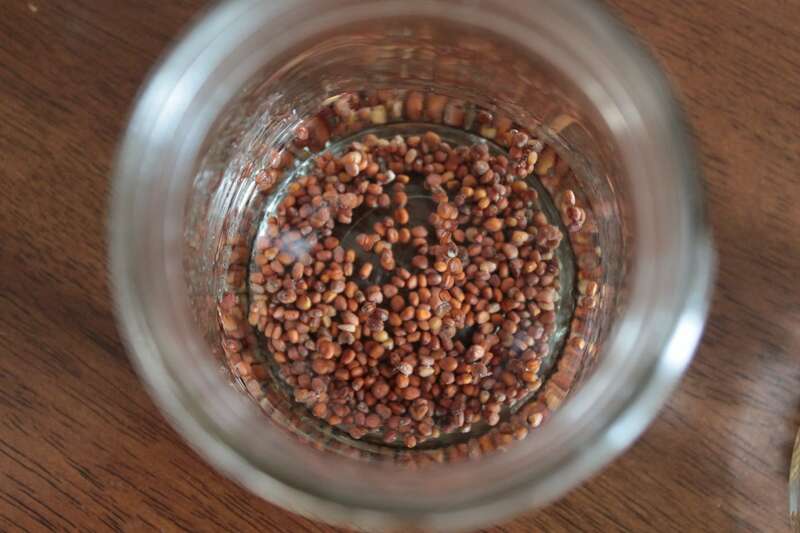 I was unsure of how to start my seeds, to soak or not to soak? That was my question. Though I am a total noob when it comes to sprouting, I am am and always will be a Farmer’s daughter. 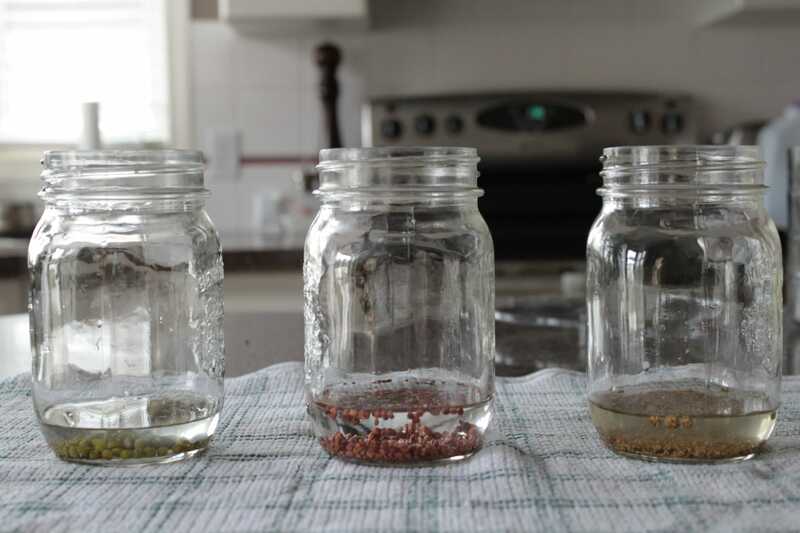 I do have some experience with gardening and so I did the proper thing and soaked the seeds. 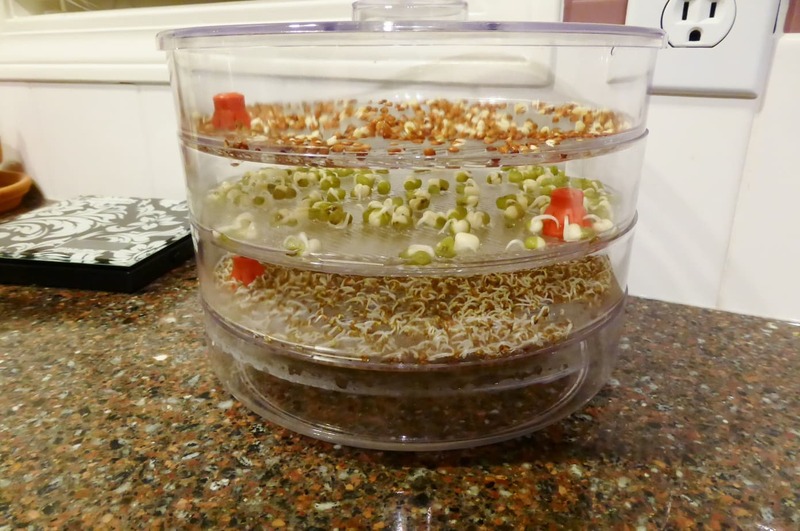 The alfalfa sprouts only needed four hours but both the mung beans and radishes needed a full 12 hours. It was a good thing I was starting them early enough to soak them for the full amount and be able to put them in the sprouter by bedtime. 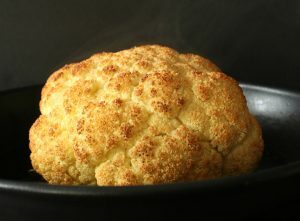 In the morning I was surprised to see that some actual sprouting had been going on as I slept. 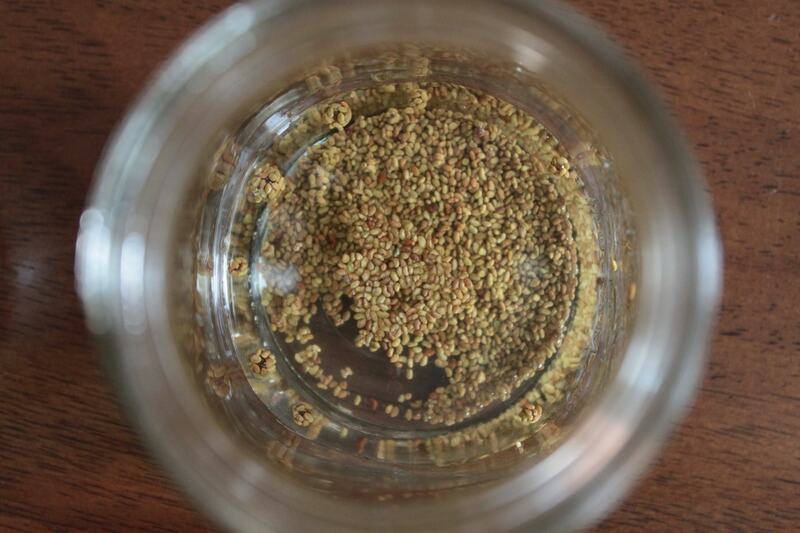 Most of the seeds had cracked and some (especially the alfalfa) had little white ‘feelers’ just peeking out. 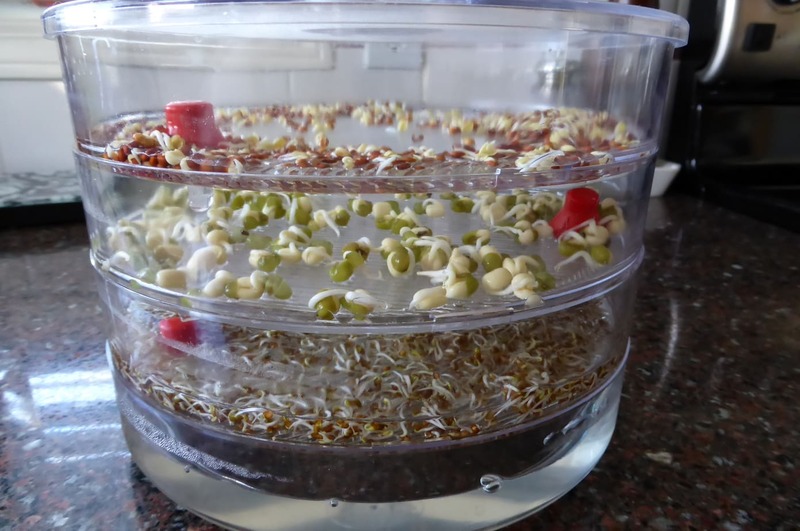 I did the first rinse of the day and thought this sprouting business is pretty darn easy. Much later on during the day I did the second rinse and the sprouts had grown even more considering the lack of sunshine… The next morning (Day 3) we woke up to this surprise! By Sunday (Day 4) I figured it was safe to sample some of the sprouts. 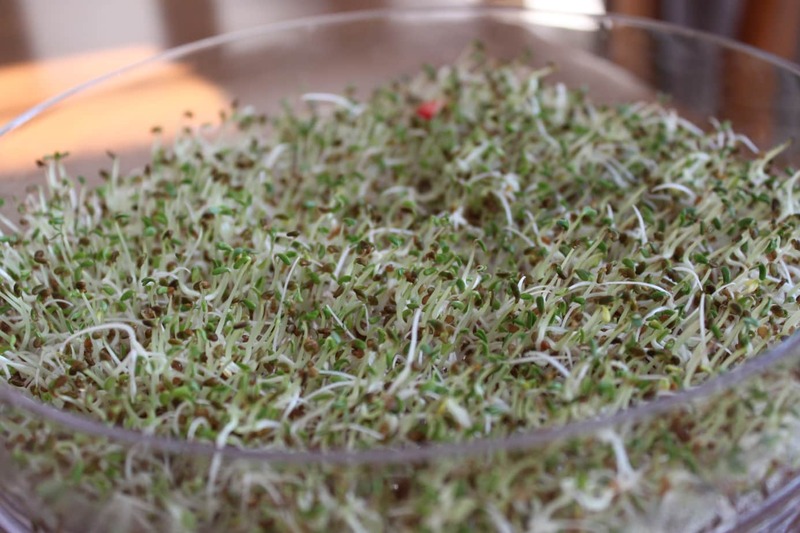 Both the mung bean and the radish sprout packages claimed they could be eaten around the four day mark and my alfalfa sprouts sort of looked ready to eat a bit earlier. This ‘sprout gardening’ is a lot easier than I thought. I think I may be addicted. Thanks for reminding me about the seeds in my cupboard. 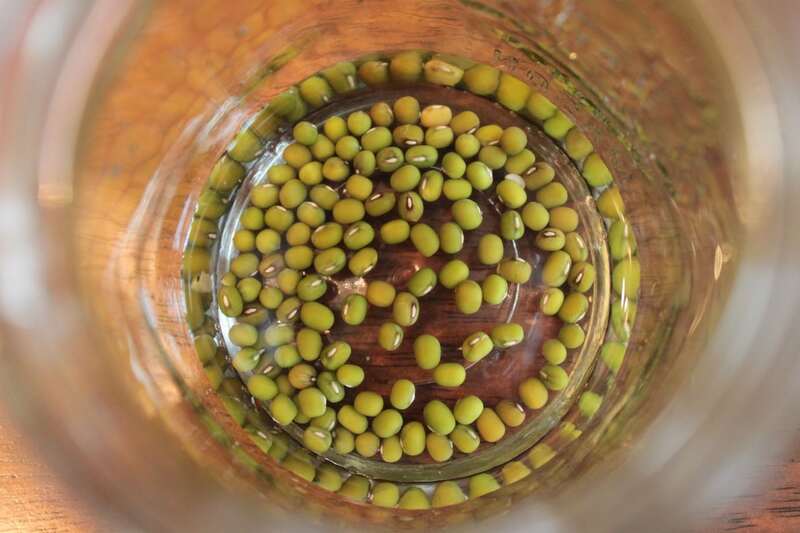 I will have to sprout them when I have time.